Kassena dwellings combine practicality and beauty.Symbolically and literally protective in form, a perimeter wall encloses all dwellings. 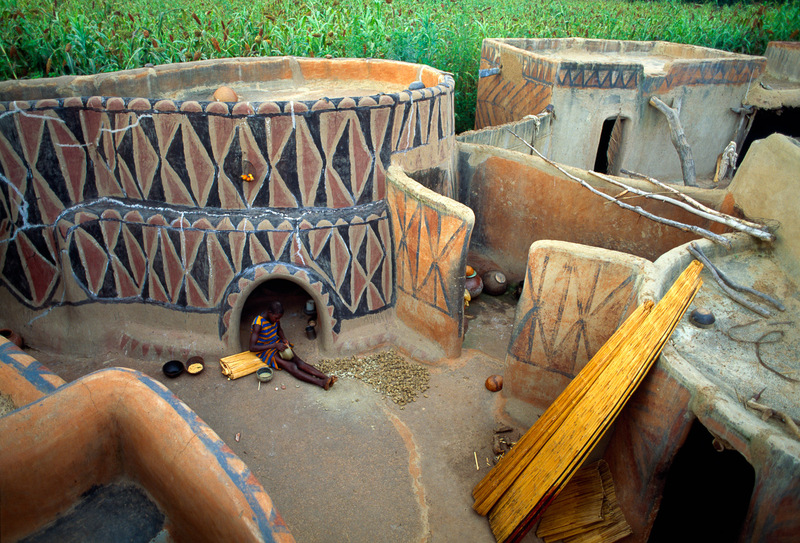 The flat roofs of the houses provide surfaces for drying millet, and the inner courtyard serves for grain storage and cooking. Plastered with clay, the walls are repainted at the beginning of every dry season with bold, decorative motifs from daily life. Combining aspects of nature and civilization, they depict the relationship between man and his environment as a harmonious whole, which is the Kassena ideal.